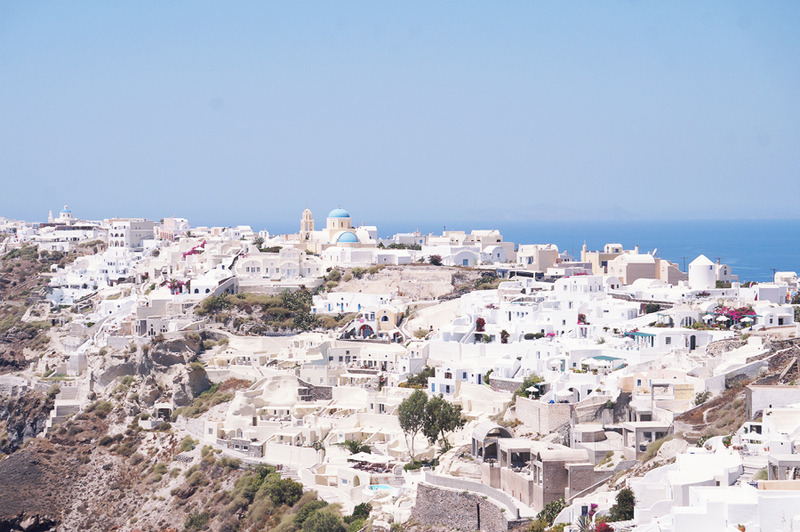 Santorini is honestly one of the most beautiful places I have ever been to so if you are looking to add a vacation or honeymoon spot to your bucket-list, Santorini should be close to the top! Pictures do not do the city justice so you will just have to see it in person yourself. Reaching Oia (pronounced with a silent 'o') was a bit of a trek from the port because it is all the way at the top of the cliffs but it is a very scenic route and a tad scary if you are afraid of heights. 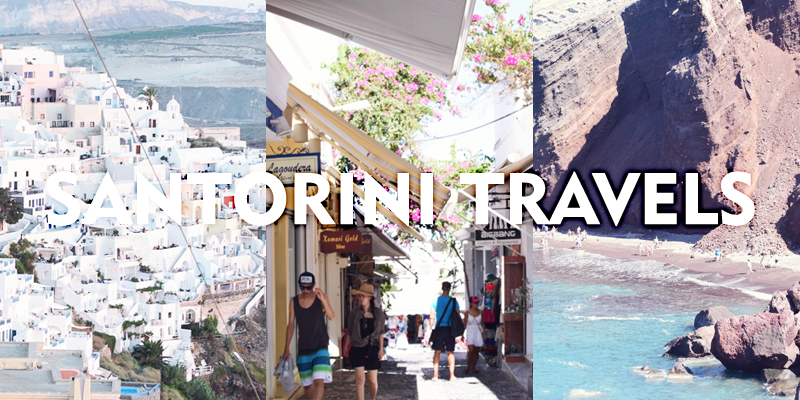 Oia itself is a small town where you can pretty much walk to everything. 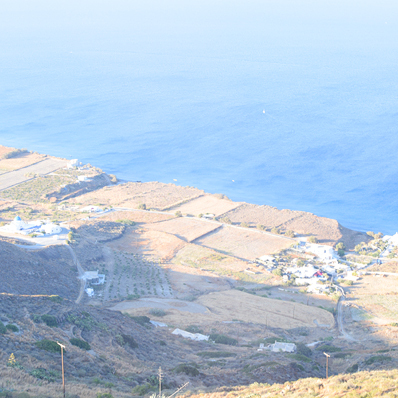 The white houses and blue domes are beautiful to look at during the day or night, and you will never get tired of the ocean view overlooking the island of Thirassia. 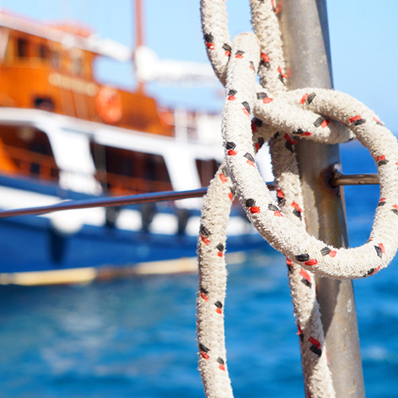 Santorini is pretty much the place to relax so spending a little more money at the place you decide to stay at is the good way to go. 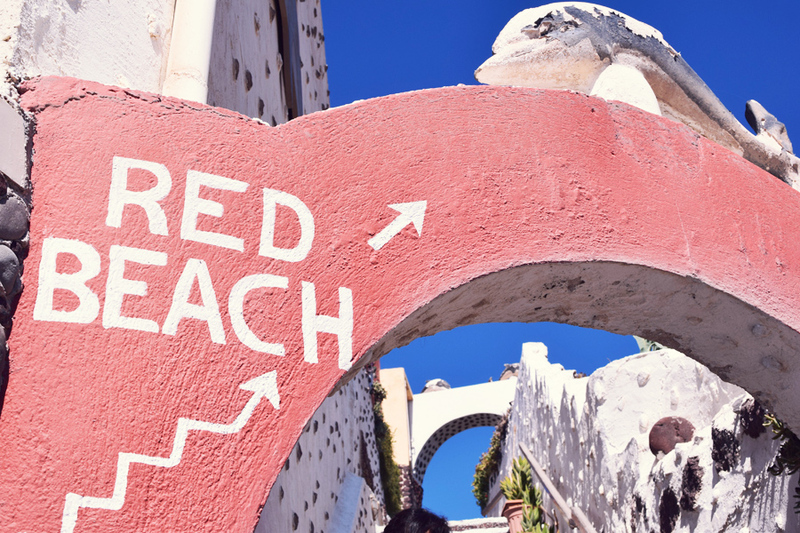 You can visit most of what Oia has to offer in two or three days, then spend the rest of the time enjoying the peacefulness and laying in the jacuzzi. 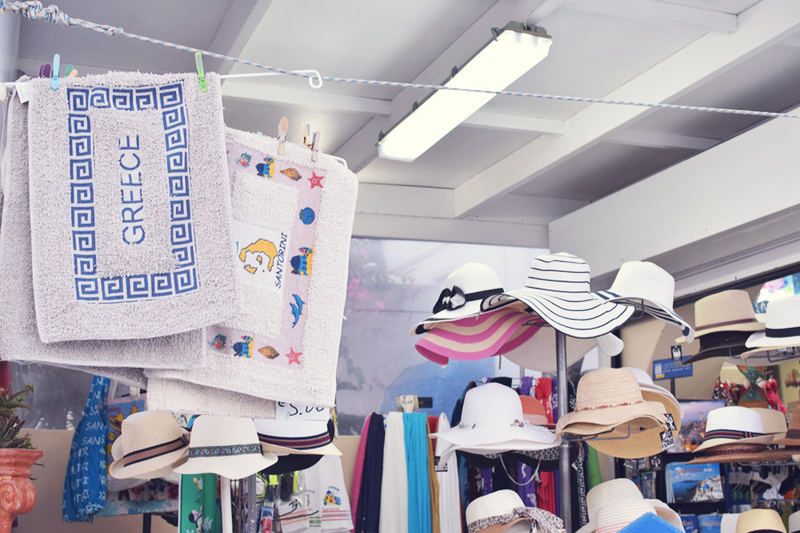 Santorini is popular among tourists so you will find many souvenir shops and restaurants may slightly be on the expensive side. There is also a fish spa if you are into that! 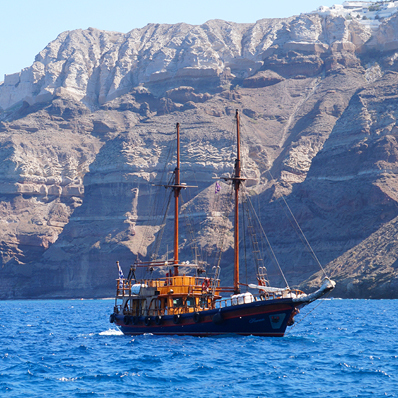 If you want to make plans to head to a beach, there are several of them around the island of Santorini but make sure to plan ahead because you will need time if you are coming from Oia, especially if you are taking a public bus. Other than Oia, I spent a day in Fira with my family where you can find plenty of shops, cafes, restaurants, churches, monasteries. 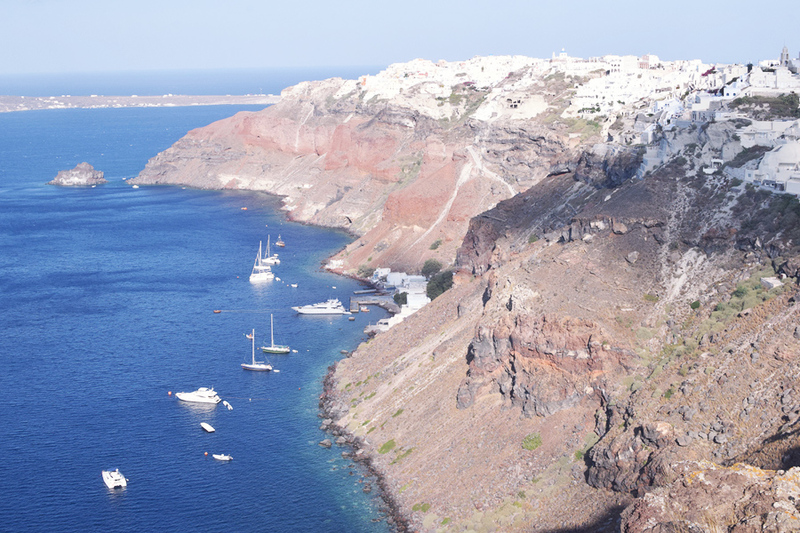 Fira is also where I took a ferry to do a day trip to the volcano and Thirassia. I could create another post for this day trip because this post is long enough as it is. 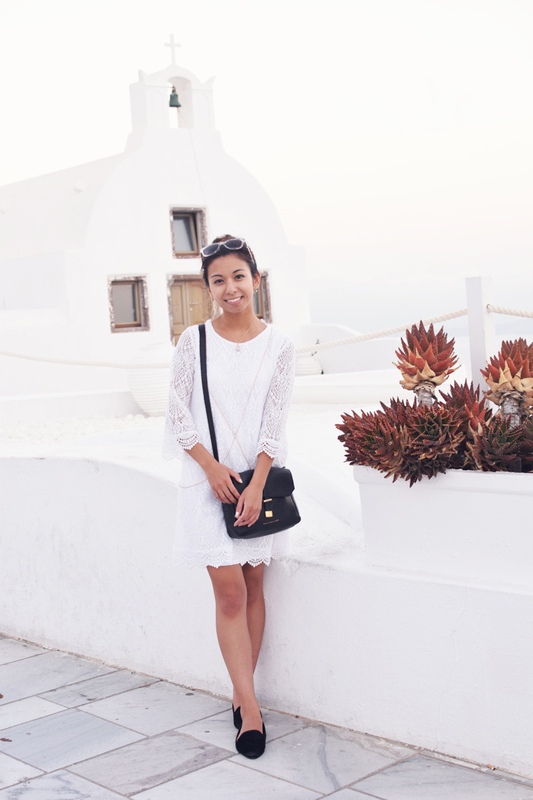 Overall, I hope to visit Santorini again in the future. → No receptionist at the desk after 16:00. → No complimentary breakfast is included but free milk, juice, croissants, and fruits are left in the room. 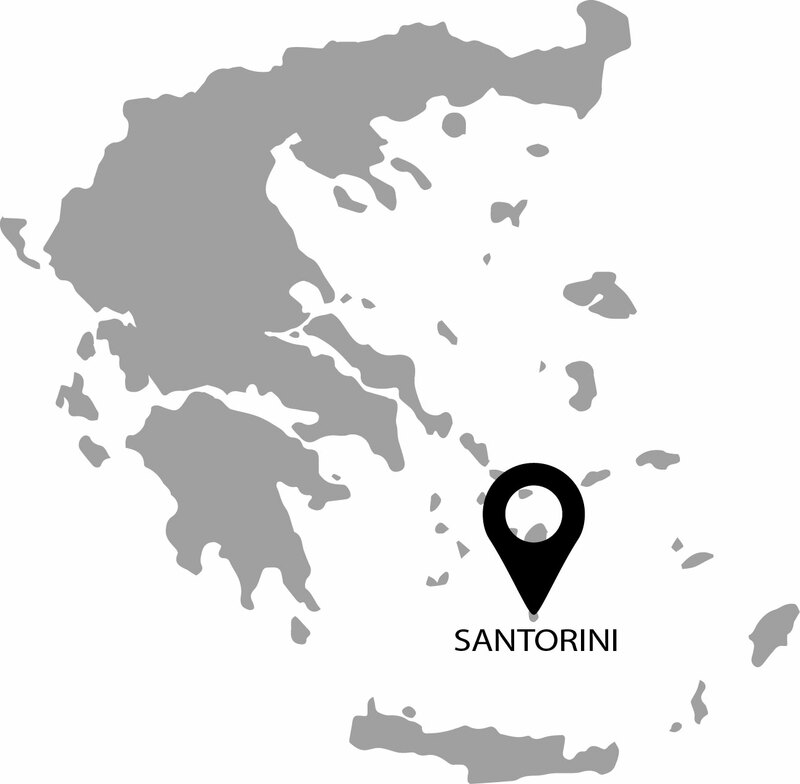 → The hotel is walking distance from nearest convenience store, restaurants and tourist attractions in Oia. → Car/Taxi: Rent a car, take a taxi, or ride a bike to get from town to town. Prices vary. → Bus: I find taking the bus is the best and cheapest way to travel in this area. The KTEL bus is location at several locations (you can find their time schedule here and pricing here). 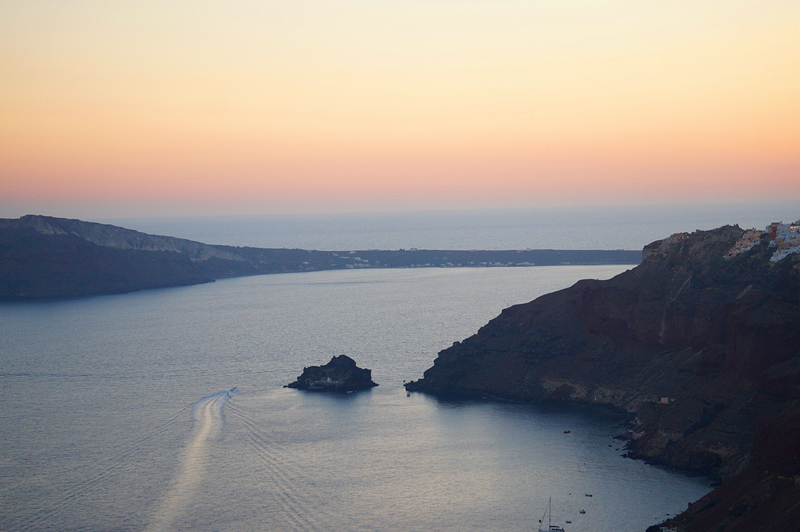 → Aerial Tram: Take the aerial tramway to travel up and down the cliff from Oia and Fira. A one way adult ticket costs 4EURO and a one way child ticket is 2EURO. → There are plenty of restaurants to choose from! I may create a separate post in the future with recommendations. 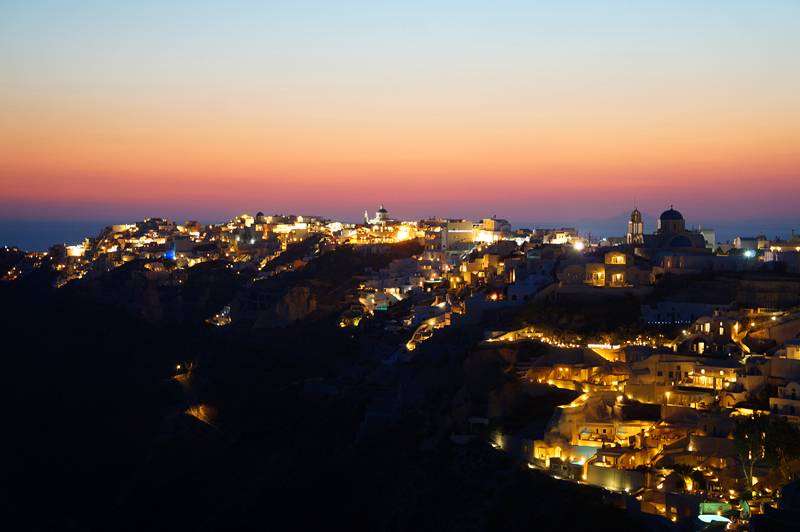 → Village of Oia: Walking distance from most hotels in Oia filled with shops, restaurants, taverns, spa, and the view of the caldera and blue-domed white houses. 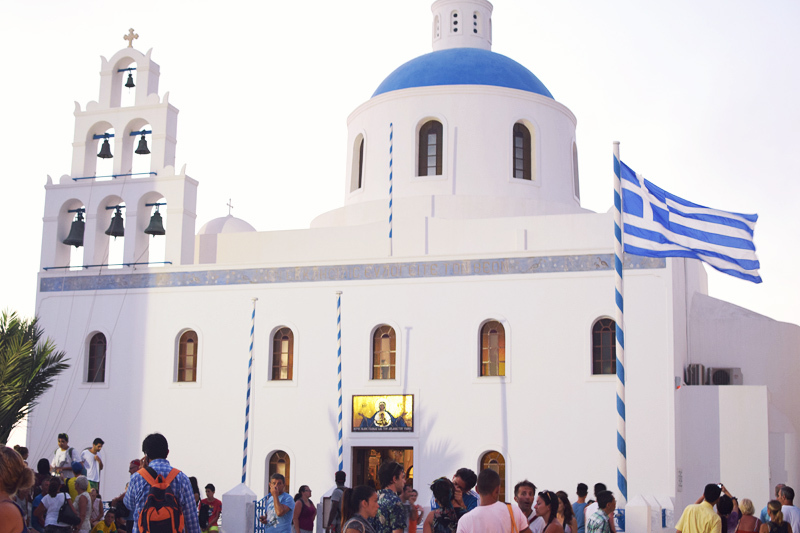 → Church of Panagia: Most famous as the blue-domed church in the town of Oia amongst the white houses. The church is open for the public to visit and attend. 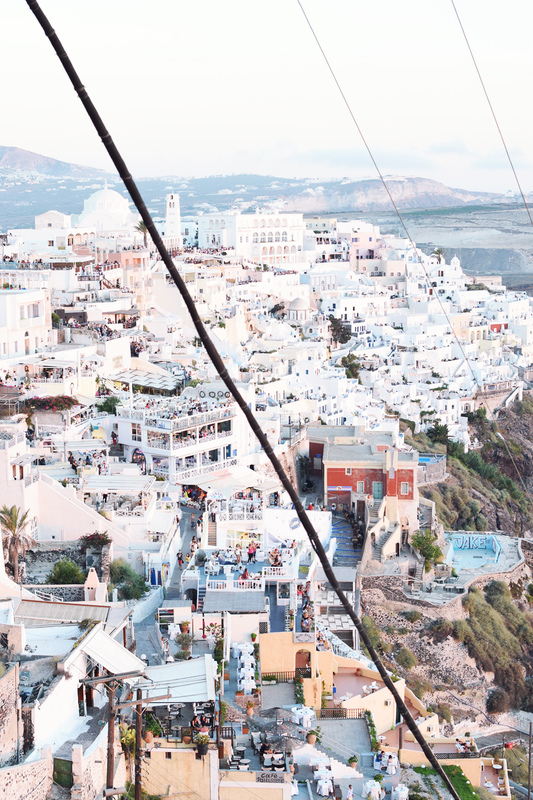 → 588 steps of the Old Karavolades: These stairs are made famous for its zig-zag shape down the cliff of Santorini that leads from the Old Port to Fira. 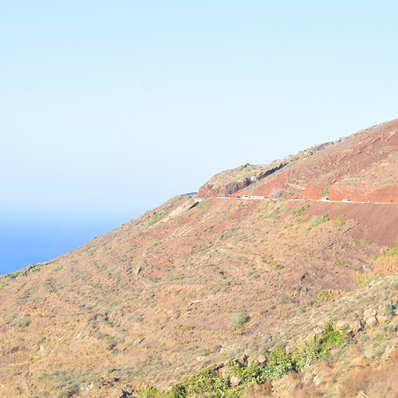 The path also forks so you can get to Oia. It is a great experience and a workout but you are also welcome to ride a donkey for 5EURO if you do not want to climb the stairs. The donkeys are pretty smelly and sand gets everywhere so make sure you shield your face whenever they pass by! 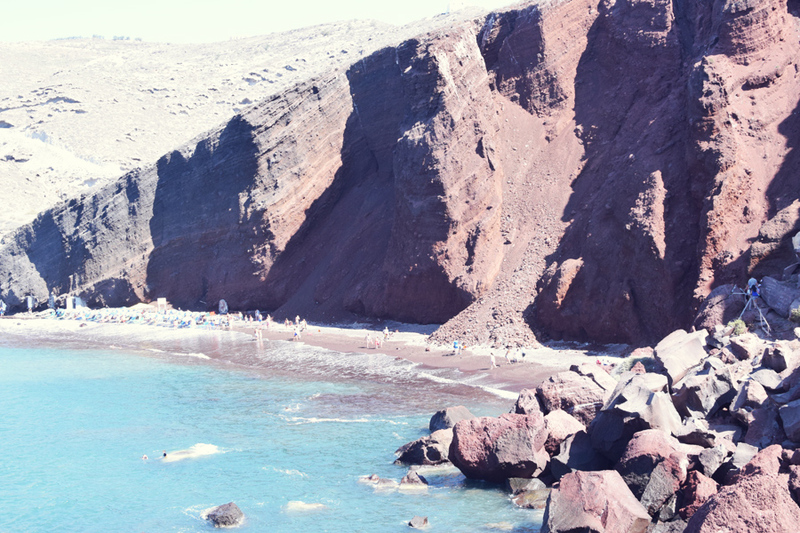 → Red Beach: A small beach made of red volcano rocks and pebbles located in Akrotiri that involves a little bit of walking and climbing for about 10 minutes before you reach it. It can be reached by car (parking lot available) or bus. 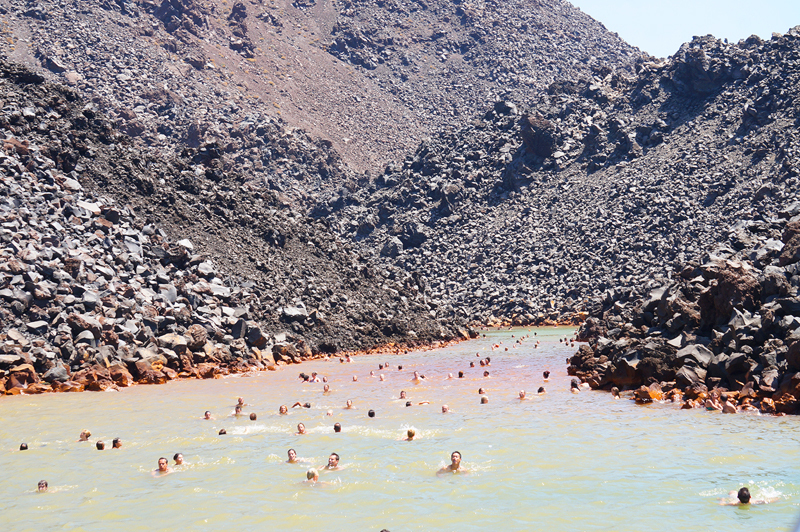 → New Kameni: Volcano (caldera) island located just a few miles away from Fira and where the hot springs can be found. The view driving up the cliffs. 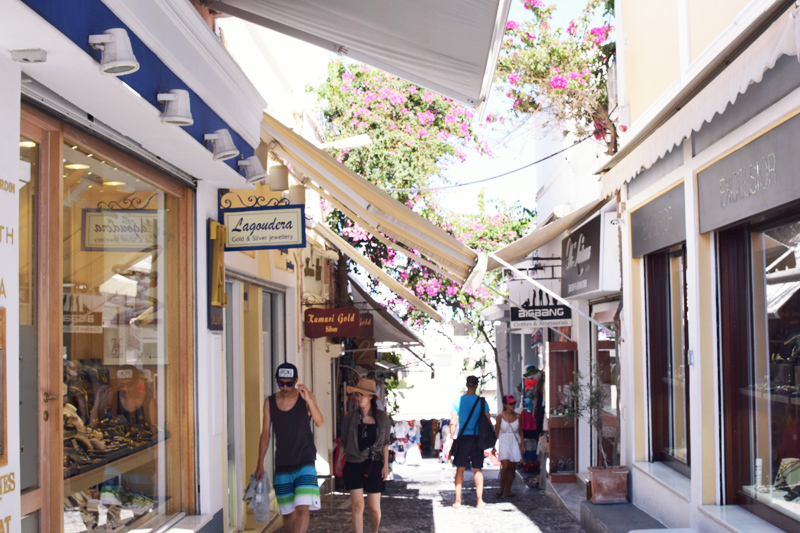 Walking the streets of Oia. 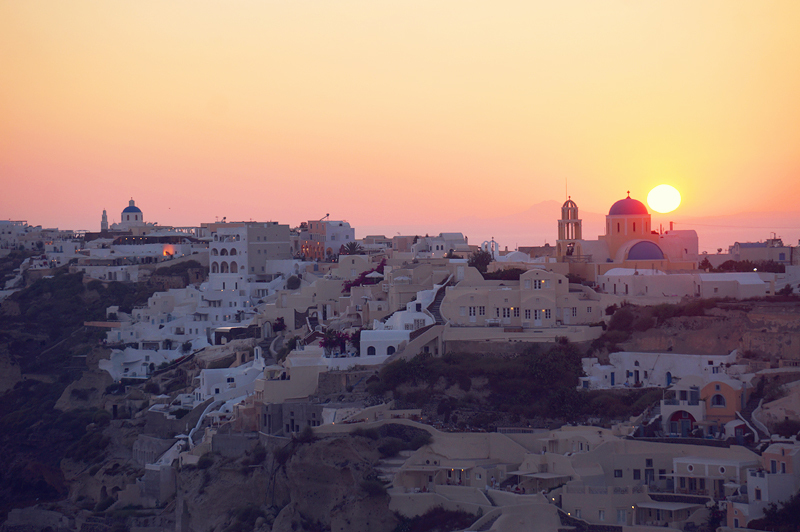 Catching the sunset in Oia. When the lights turn on. Hiking towards the center of the volcano. Swimming in the hot springs! Front of the Church of Panagia. 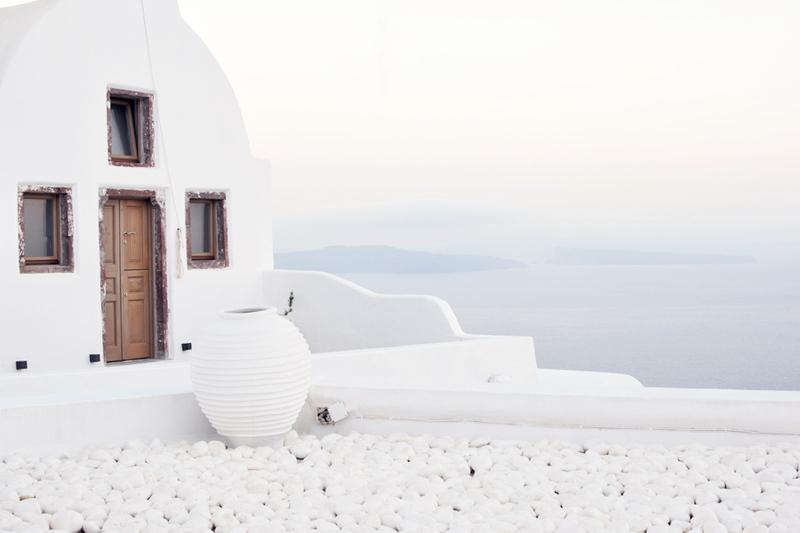 I just love the all-white houses. Visiting more souvenir stores and shops. The view from the top of Oia. 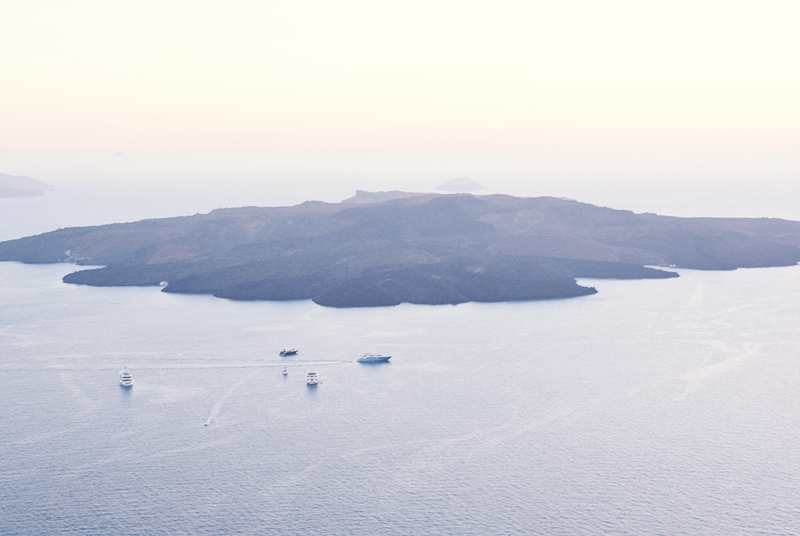 Looking at the island of Thirassia from the top of Oia. 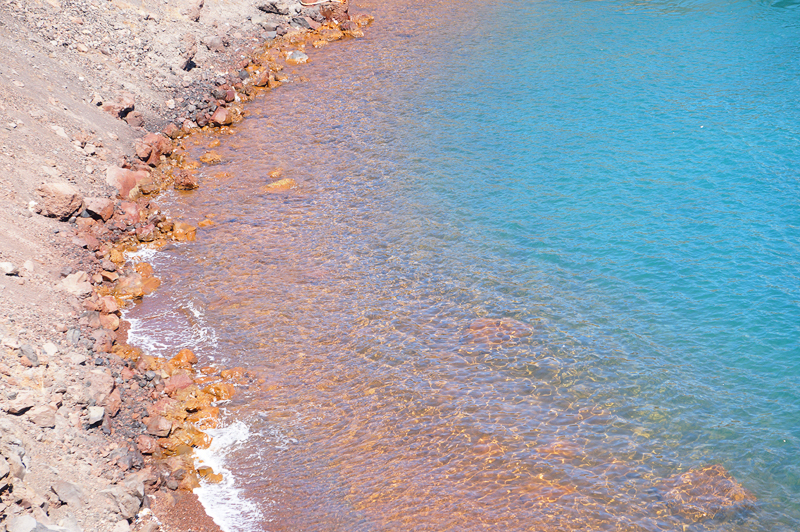 After a few minutes of hiking reveals the beach made of red rock. So gorgeous!!! I would love to go to Santorini!!! On my bucket list for sure!! !